Hinchinbrook Views is on the doorstep of your next brilliant fishing adventure. 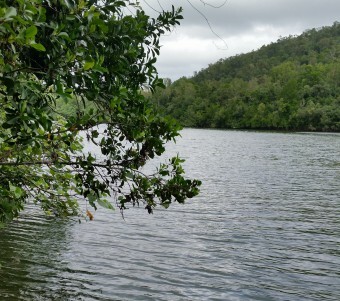 The Hinchinbrook region offers a range of freshwater, estuary and bluewater fishing. 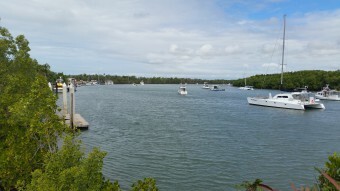 It is home to the barramundi, mangrove jack, mud crab, grunter and lots more. It really is the fishing mecca of the north. Located off the north coast of Queensland, Hinchinbrook Island is Australia’s largest island national park and is part of both the Wet Tropics and Great Barrier Reef World Heritage areas. 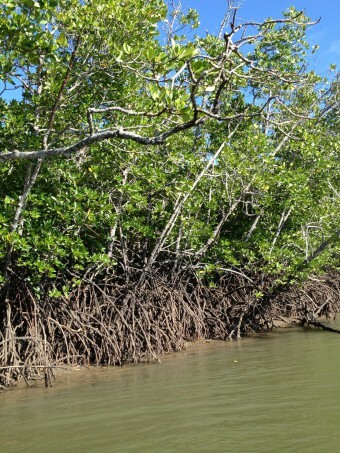 The surrounding estuaries and creeks have been protected from commercial net fishing since 1998. Before heading out on the water make sure you are aware of transit lanes, size and bag limits, fishing zones in the marine park and seasonal closures for some fish species like barramundi. Visit the Great Barrier Reef Marine Park Authority website www.gbrmpa.gov.au. 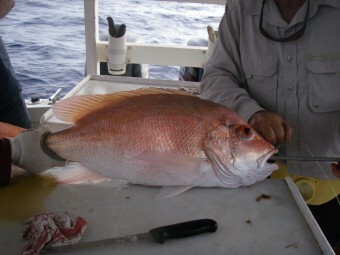 We catch them big up here! From tinnies to larger vessels, the Dungeness boat ramp has access to cater for all styles. Dungeness, Lucinda – Boat Ramp. 12km drive from Hinchinbrook Views. 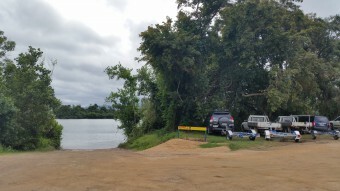 Four lane concrete boat ramp, vessel servicing pontoon, boat wash-down area, large bitumen/grass – car/trailer parking at boat ramp, security lighting, toilets. Gateway to the Great Barrier Reef local islands and the majestic Hinchinbrook Channel. Mona Landing Boat Ramp, Halifax (on the Herbert River). 6.2km drive from Hinchinbrook Views. Single lane gravel ramp and small gravel carpark. 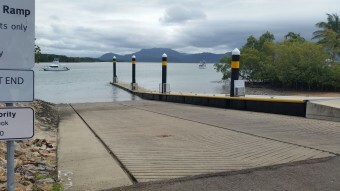 The Mona boat ramp provides all weather access to the Herbert River and a short 15 minute boat ride to the Hinchinbrook Channel. Double lane concrete ramp, boat wash-down facility, security lighting, toilets. Single lane concrete ramp, large bitumen carpark, toilets, wash down bay, exposed to waves. Single lane concrete ramp, small dirt carpark, wash down facility, no water at low tide. See FAQ for information on crocodiles, size and bag limits.